Virginia communities face a multitude of economic, environmental, and social challenges. The prolonged recession has generated a sense of urgency and has triggered discussions about community economic development strategies that will promote short-term economic recovery and long-term economic vitality, community viability, and improved quality of life. • Job loss and dwindling revenue streams. • Decline in rural community vitality. • Loss of small and mid-size farms. • Loss of farmland and working landscapes. • Rise in obesity and diet-related chronic diseases. • Increase in environmental constraints. • Increase in household food insecurity. For some communities dependent on manufacturing and other industries, the economic downturn has been longer and more persistent. During these challenging times, it is important from a community economic development perspective to examine the foundational assets of the local community and economy. • Nutrition, education, and critical health issues. • Financial well-being of producers, consumers, and communities. • Social and economic development. • Working landscapes and the natural environment. • Local identity, history, and culture. • People’s values and society’s policies. • Overall rural and urban quality of life. A vision to reintroduce consumers to producers and link health, food, farming, and the economy will require leadership and dedication. 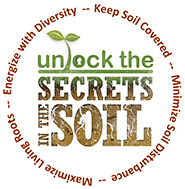 Entrepreneurial farmers, food business owners, community-based work groups, community and economic development personnel, government officials, and the research and education communities will need to be connected and involved through good communication and collaboration to achieve the projected outcomes of a community-based-food system. 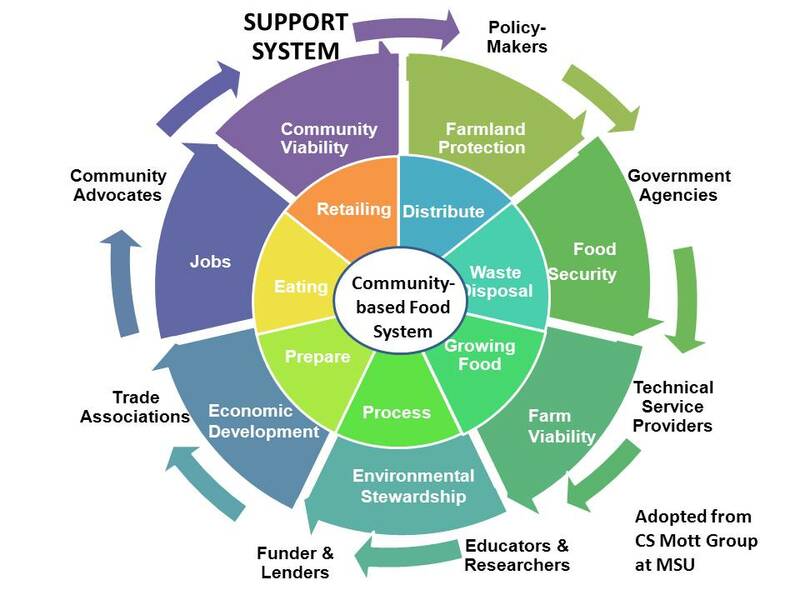 The circle of food system connections and support. Adapted from the C.S. Mott Group at Michigan State University.